If next week’s World of Warcraft: Battle for Azeroth expansion isn’t your thing but the buzz has you thinking about playing an MMO, now is a great time to get into (or get back into) The Elder Scrolls Online. 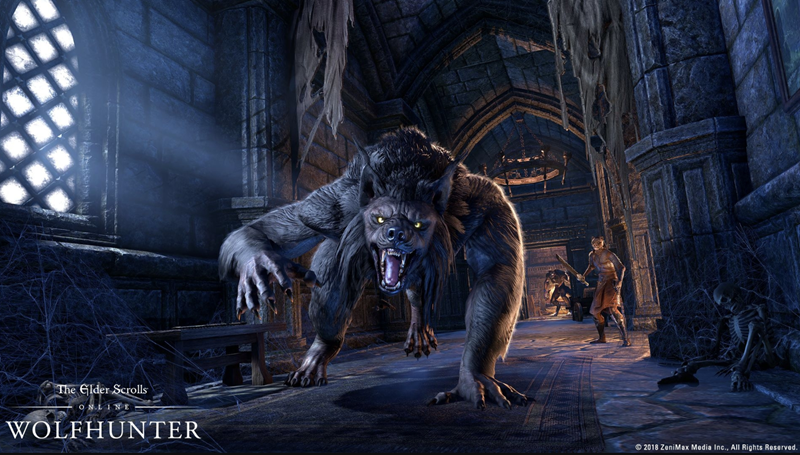 ESO features consistently superior writing along with fully developed PvE, PvP, solo and group play, crafting and more. It’s a particularly good time to check out the game because great deals are available on a range of Elder Scrolls Online products for both Xbox One and PS4 as part of Bethesda’s Quakecon sale. Elder Scrolls Online’s great strength has always been its writing. Not every quest has a great story attached, but many do. You’ll find mystery, romance, comedy, drama, heartbreak, and horror. If you don’t like the story you’re following, there are many more to choose from. TES Lifelists over 1,100 quests in the original game’s 30 zones and that doesn’t include the hundreds of quests in ESO’s PvP zone, story-driven DLC, and two major expansions, Morrowind and Summerset. 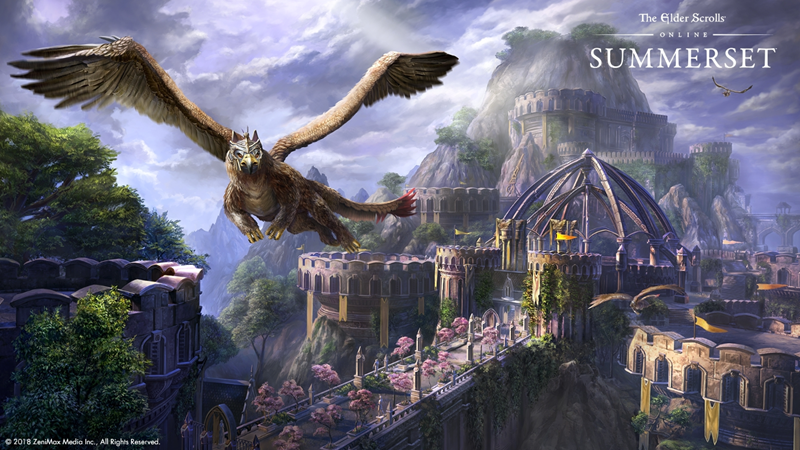 If you like well-written and engaging stories in MMO’s, you may fall in love with ESO. I’ve been playing ESO off and on since one of the early betas. I began on PC and moved to the PS4 when ESO launched on consoles in 2015. I tried a free weekend last year to see what the 4K Xbox One X enhanced version looked like and was surprised. ESO is gorgeous on the PS4 Pro but it’s noticeably sharper, clearer and richer on the One X. I thought it would look better on Microsoft’s console, but I didn’t expect it to look this much better. I really would have preferred to play on the One X, but I had too much invested in both time and money to start all over again. The core game is often discounted on the One X, but I’d sunk a lot of money into DLC and expansions that I wouldn’t want to do without if I was going to make the move and start over from ground zero. I stayed with the Pro and monitored Xbox One sales for months. Nothing came close to tempting me to buy. And then the Quakecon sale came along. The Elder Scrolls Collection includes the original game, the Morrowind, and Summersetexpansions, and the “Imperial City” (PvP), “Orsinium” (Orc storyline), “Dark Brotherhood” (Assassin’s Guild), and “Thieves’ Guild” DLC packs. It has just what I want, but at $80 it’s more than I’m willing to pay and I never saw it on sale. The Quakecon sale includes the Elder Scrolls Collection at half price, $40. Other Quakecon discounts include 50% off the original game, 25% off the Summerset expansion and upgrade, and 10% off the Summerset Collector’s Edition upgrade. ESO’s in-game store currency is rarely on sale, but the Quakecon sale includes discounts ranging from 20 to 30% depending on how much you buy. If you like MMOs and haven’t tried The Elder Scrolls Online or have been away from it for a while, taking advantage of the Quakecon sale is a good way to see what’s going on in Tamriel. The sale is on now and it ends on Tuesday, August 14 at 6:00 AM EDT. If you’re interested in RPGs, here are some articles you might enjoy.